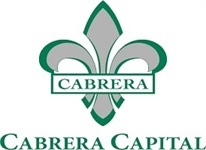 Cabrera Capital Markets seeks to supplement our Taxable Fixed Income desk with a MBS/ABS mortgage sales trader. The Mortgage Trader must have in-depth product knowledge, proven relationships with large, medium-sized or small ABS/CMBS/RMBS investors (government-related asset managers, money managers and insurance companies). Cabrera Capital has built our business by developing strong relationships with many of the nation’s largest institutional buyers.